men-u Skincare, Hair Care and Grooming for Men. men-u skincare, haircare and body products are the result of a new approach to the development of products for men. Each product has been developed with leading experts in male hair, male scalp and male skin to be ultra-concentrated and to deliver the performance required. This knowledge has been combined with the highest quality ingredients, latest technology and packaging for a fashionable, functional and easy to use system. men-u products have not been tested on animals. Men-U Shaving Cream for use with or without a brush and a refreshing and invigorating mint and menthol fragrance. Simple set of 3 products, perfect for taking with you on holiday. men-u quality shaving brush to facilitate the optimum shave. FHM Grooming Award winner in 2004.
men-u Premier Shaving Brush and Stand enables you to get that barber shop shave at home. men-u Facial Wash is ideal pre and post shave. It is ultra concentrated and a little goes a long way. men-u Facial Moisturiser Lift is a non-greasy, firming and moisturising formula that gets to work straight away. men-u Matt Skin Refresh Gel leaves your visual frontline looking better for longer! Removes excess oil, dead skin cells, impurities & blockages leaving skin clean, dry, smooth & firm. men-u Healthy Hair & Scalp Shampoo is suitable for all hair types and frequent use. 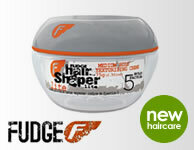 An ultra-concentrated moisture formula that locks mositure into the hair, giving you easy to manage and healthy hair. An intensive penetrating treatment that will help prevent split and dry ends. men-u Clay is great for matt, choppy, dishevelled styles. men-u Muscle Fibre Paste is strong, long lasting flexi-hold in seconds! Create & recreate your style with a natural look and shine, a contemporary grooming pomade. men-u Shower Gel is a great, invigorating shower gel that gives your mind and body a boost.